Husband-and-wife team Patrick Berry and Steffi Langer-Berry never intended to be grocers. Their backgrounds are in photography, graphic design, and website development. But when they moved to Westview in 2006, they got involved in the community organization and saw how everyone embraced the small grocery store at 1562 Ralph David Abernathy Boulevard. “The store has always served a very important function in the community, as some people don’t have cars,” Berry says. 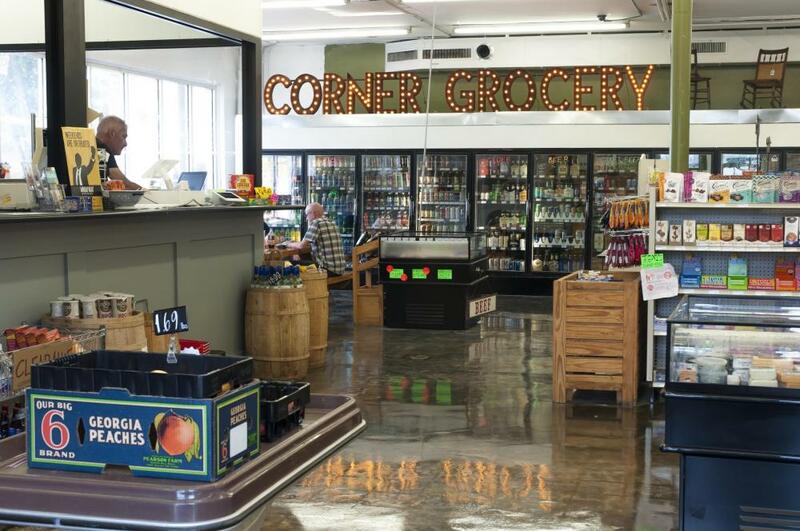 In 2009, the grocery—which originally opened as Kroger in 1949 and changed names throughout the years—turned into a convenience store. “It went downhill a bit. It didn’t really have groceries anymore,” he explains. They opened Westview Corner Grocery two months ago, selling natural, organic, local, and ethically-sourced specialty products such as Doux South pickles, Arden’s Garden juices, Honeysuckle Gelato, King of Pops, and Tony’s Chocolonely chocolate, as well as craft beer from SweetWater, Monday Night, and Arches Brewing, among others. “The greater West End is focused on vegetarian and vegan. Natural and organic food seemed like a good concept, but it’s important to us to keep conventional food as well,” Langer-Berry says.